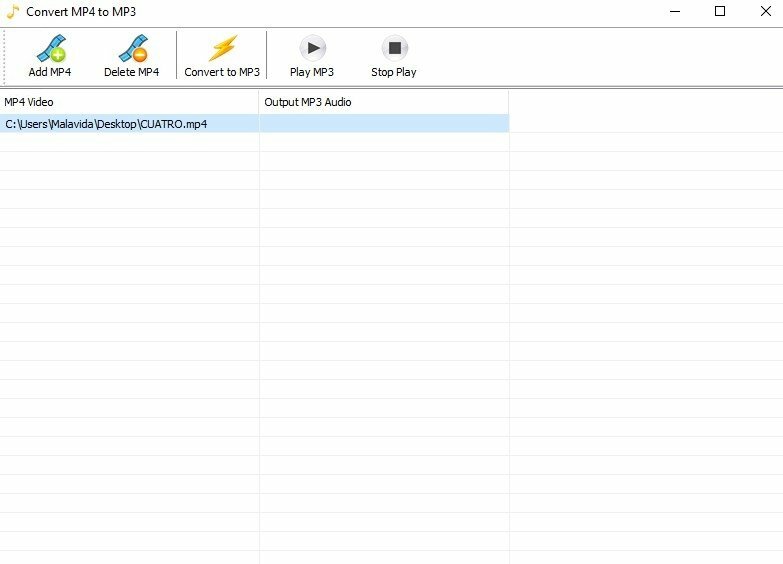 Extracting audio from MP4 files to convert it to MP3 is one of the greatest ambitions of mankind ever since living in caves. Well, I might be exaggerating slightly, but the truth is that being able to bring the sound of our videos to an independent file is perfect to then play it on an iPad, in the car or wherever we want. 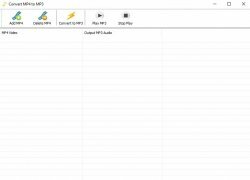 A simple program to extract audio from videos. 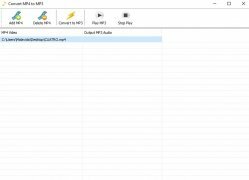 This tool called Convert MP4 to MP3, despite its name, isn't only limited to this format. It allows us to work with other input formats such as AVI and is really easy to use thanks to its simple interface. 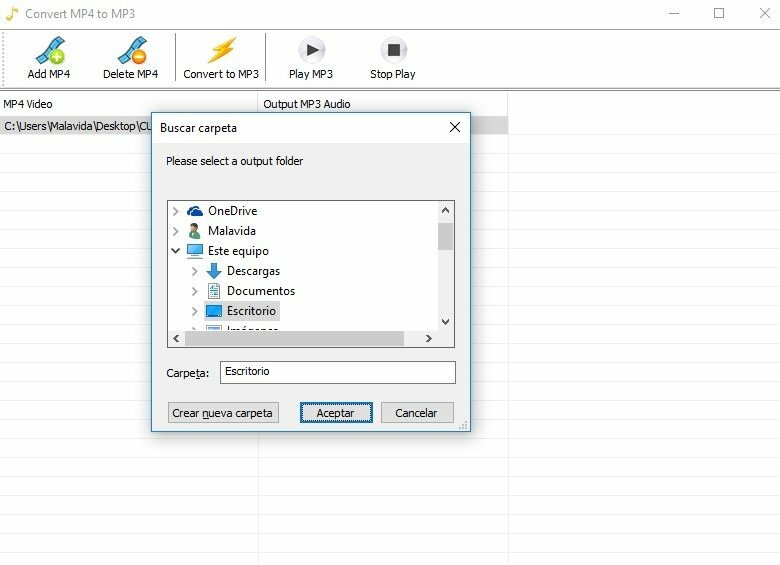 However, if you want to use this program to extract songs from YouTube, you first have to download the videos to your PC with software like aTube Catcher. How to extract sound from a video file? Step 1: run the program and select the video with Add MP4. 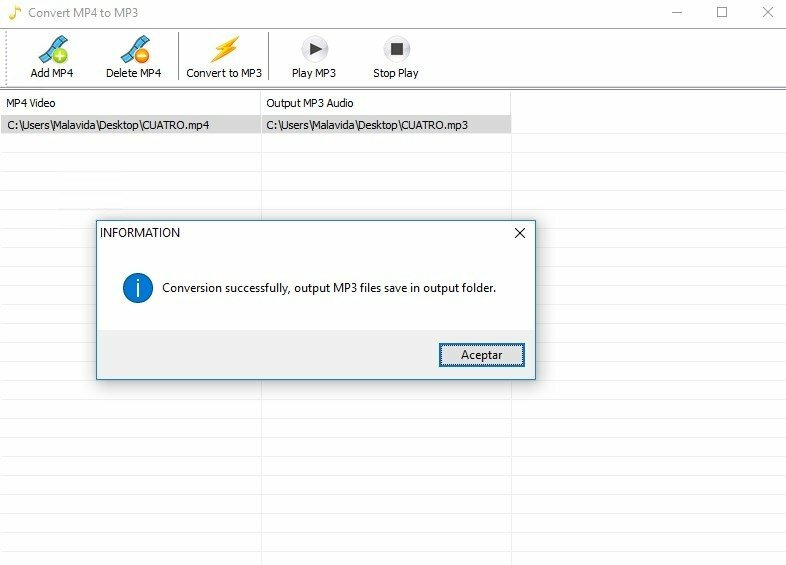 Step 2: click on Convert to MP3, choosing the output folder and wait for the conversion to be completed. 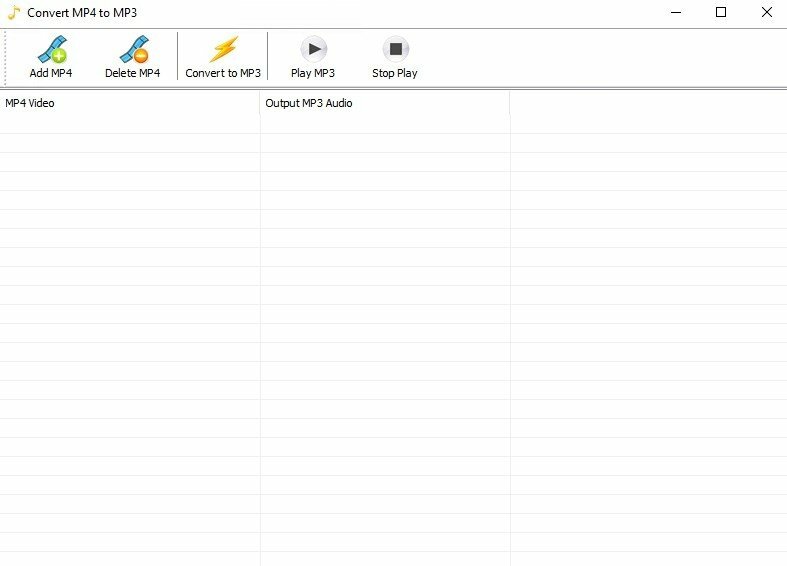 Step 3: with Play MP3 make sure that the conversion has been carried out appropriately. 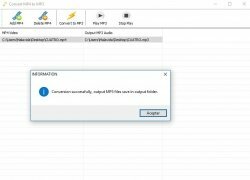 Step 4: delete the files from the list with Delete MP4. And as we said before, not only can you use it to extract MP4. It's compatible with AVI, DivX, Xvid, FLV, QuickTime Video (.MOV), DVD and VOB. Thus, you can extract songs, conversations or whatever you want from movies or TV programs. Perfect to play them wherever you want or edit them.